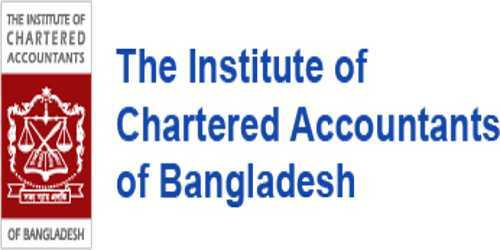 Institute of Chartered Accountants of Bangladesh (ICAB) is the National Professional Accounting Body of Bangladesh established under the Bangladesh Chartered Accountants Order 1973 (Presidential Order No. 2 of 1973). The Ministry of Commerce, Government of the People’s Republic of Bangladesh is the administrative Ministry of ICAB. The Institute of Chartered Accountants of Bangladesh (ICAB) is the national professional accountancy body and research institute in Bangladesh. It is the sole organization in Bangladesh with the right to award the Associate Chartered Accountant designation. It has 1,869 members. ICAB has Regional Offices in Dhaka, the capital of Bangladesh and in Chittagong. There are also Chapter Management Committee Offices both in London, UK, and Ontario, Canada. Affiliations – IFAC, IASB, CAPA, SAFA, AOTCA, ICAEW. (a) To meet the ever-changing global economic demands dominated by WTO regime, the ICAB is fast becoming a body of professionals whose expert services will be highly sought. (b) To anticipate, meet and exceed the rising expectations of the society. (c) To better use of opportunities to face the challenges of fiercer global competition. (d) To recognize the changes in economy/ business and recognize the path to success by adopting changes in knowledge management and acquiring skills. (e) To recognize its role as a regulatory body to equip its members (Chartered Accountants) with top-quality education and values. (f) To recognize the needs known as world Class Advisors. To enhance the reputation of the accounting profession in all sectors of the economy.